Join International Airport Review in celebration of our 20th Anniversary as we begin our Top 20s feature and pick our Top 20 World Airports. 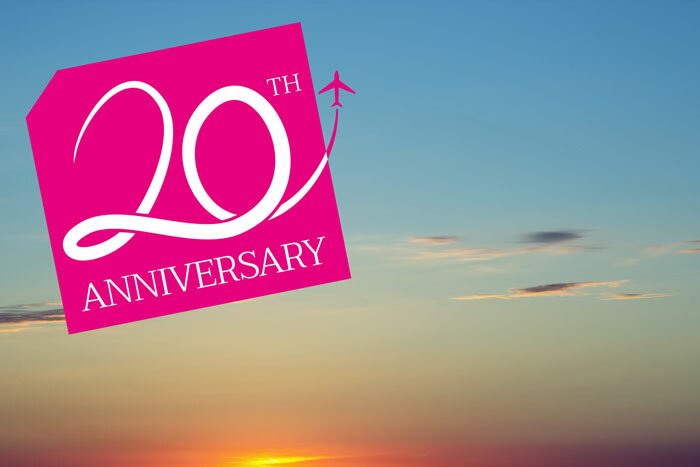 International Airport Review was founded in 1997 and that means this year marks our 20th Anniversary! 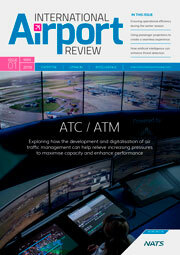 To celebrate, we are proud to announce the relaunch of the International Airport Review magazine and website. As we build up throughout the year to our anniversary issue in the Autumn, we’ll be running a monthly online feature that celebrates the top 20 of all things aviation. Be it a look at the latest innovations in the sector, our predictions for the future or a glance back at the 20 biggest stories of the past 20 years, we invite you to join us in celebration of this milestone throughout the year. To begin the series, what better way to start than by naming the world’s top 20 airports as chosen by the team at International Airport Review. We’ve taken great care to pick a selection of the top airports from around the globe. It must be said before anything else however, that the list is far from exhaustive – there are many of our favourite airports that we do not mention and many not included that have made significant progress and developments over the past few years. We believe each and every one of the following 20 (named in no particular order) to have a valid claim to its inclusion in our list and we hope you agree with our choices. Enjoy! Best Feature: Changi’s competence speaks for itself: It is currently the World’s Best Airport (Skytrax 2016) for the fourth consecutive year and counting and is particularly leading the way with respect to technological advancement and customer service – notably in its excellent treatment of passengers with restricted mobility. Fun Fact: Changi is the Meryl Streep of the airport world and regularly cleans up at the awards ceremonies having taken home a total of 500 awards since 1981, including 28 “Best Airport” awards in just 2015 alone. The Important Details: Changi is the home of Singapore Airlines, Singapore Airlines Cargo, SilkAir, Scoot, Tigerair, Jetstar Asia Airways and BOC Aviation and has 100 airlines flying to some 320 cities in about 80 countries and territories worldwide. Best Feature: Incheon is the current “World’s Cleanest Airport” according to Skytrax, a global rating organisation for the aviation industry. It also boasts an extremely impressive passenger flow record and airport authorities claim that average departure and arrival takes just 19 minutes and 12 minutes respectively, as compared to worldwide average of 60 minutes and 45 minutes. The South Korean airport is without doubt one of the fastest airports in the world for customs processing. Year Opened: Incheon International was commission after the Seoul Olympics of 1988 as international air traffic to Korea remarkably increased. Fun Fact: The airport has a golf course, spa, private sleeping rooms, an ice skating rink, a casino, indoor gardens and a Museum of Korean Culture. Even with one of the world’s best customs processing times, if you are facing a wait, fear not, you’ll do very well to find boredom at the South Korean airport. The Important Details: Seoul Incheon International Airport’s terminal has 76 boarding gates altogether, with 44 in the main terminal and 30 in Concourse A. Best Feature: Boasting one of, if not the, most advanced robot customer service projects, Schiphol is widely considered Europe’s most technologically advance hub. The SPENCER (Social situation-aware Perception and action for Cognitive Robots) project is a European Union-funded research project aimed to advance technologies for intelligent robots that operate in human environments. While the robot is actually an innovation by KLM, Schiphol’s best feature is perhaps its exemplary collaboration between airport, airline and the Dutch government. In order to solve issues facing the industry, strengthening security for example, communication between these three parties will be imperative. Schiphol has also released a new tailored mobile app and website rebrand last year to celebrate its 100th birthday. Fun Fact: In English, Schiphol translates roughly as “Ship’s Grave”, a reference to the many ships supposedly lost in the lake as the airport is built upon reclaimed land from the Haarlemmermeer polder, formerly a large area of dangerous water. The Important Details: Schiphol is the hub for KLM, Corendon Dutch Airlines, Martinair, Transavia and TUI Airlines Netherlands. The airport also serves as a European hub for Delta Air Lines and Jet Airways and as a base for EasyJet and Vueling. It is the 3rd busiest airport in Europe after Heathrow and Paris CDG. Best Feature: Extremely well-advanced in the IT department, Copenhagen announced last year successful collaboration with Amadeus to install an Airport Collaborative Decision Making facility – or A-CDM. The implementation of Amadeus Airport Sequence Manager and A-CDM Portal solutions, which provide the airport, its airline customers, ground handlers and air traffic controllers with accurate and synced information on aircraft departures is thought to radically improve the overall passenger experience by enabling instantaneous communication between all parties. 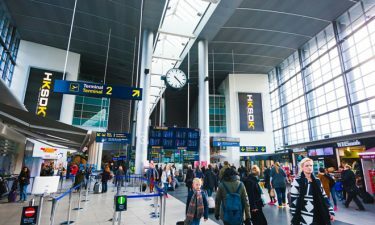 Furthermore, Copenhagen have pledged to a goal of CO2-neutral growth to 30 million passengers – and the ambition to maintain that goal while expanding to 40 million passengers. The Danish number one, as well as being among the European leaders with respect to technology, is extremely ecologically conscious. Fun Fact: The airport is located on the island of Amager, just 8 kilometres (5 miles) south of Copenhagen city centre and is one of the first civil airports in the world. The Important Details: Copenhagen Airport handles around 60 scheduled airlines, and has a maximum operation capability of 83 operations/hour, and a total of 108 jet bridge and remote parking stands. Unlike other Scandinavian airports, most of the airport’s passengers are international and in 2015, 6.1% of passengers travelled to and from other Danish airports, 83.5% to/from other European airports, and 10.4% were intercontinental passengers. Best Feature: While Stockholm are named here, really this place is granted to Svedavia, a state-owned company that looks after the ten Swedish airports. Swedavia has been a climate-neutral company since 2006 and consequently Stockholm-Arlanda became the first airport to achieve carbon neutrality in industry accreditation scheme. The scheme itself is is administered by WSP Environment & Energy, a consultancy, and overseen by an independent advisory board with representatives from the European Commission, ECAC (European Civil Aviation Conference), Eurocontrol and the United Nations Environmental Programme (UNEP). Fun Fact: Swedavia further claim to be world-leading at clearing snow from the runways. Arlanda has a policy to never close due to snowfall. The Important Details: Stockholm Arlanda serves as a major hub for NextJet, Norwegian Air Shuttle and Scandinavian Airlines. Year Opened: 1946 as we know it today, 1929 as a small airfield. Fun Fact: In 2007 the airport was voted the world’s least favourite, alongside Chicago O’Hare, in a TripAdvisor survey. However, the opening of Terminal 5 in 2008 has relieved some pressure on terminal facilities and Heathrow’s improvement since has been significant. The Important Details: Heathrow Airport is used by over 80 airlines flying to 185 destinations in 84 countries. The airport is the primary hub of British Airways and is a base for Virgin Atlantic. It has four passenger terminals (numbered 2 to 5) and a cargo terminal. Best Feature: “Offering numerous conference facilities, a passenger experience that is second-to-none, indulgent retail and culinary options and even a state-of-the-art medical services clinic, Munich Airport really is the definition of a modern airport city.” Although this was a statement made by Senior Vice-President of Commercial Activities, Rainer Beeck, we believe it to be founded on strong evidence. The opening of a new satellite terminal in 2016 will increase the capacity of Terminal 2 by 11 million to 36 million passengers per year thanks to the new addition and offers 15 retail areas, seven restaurants and cafes and three duty free zones. Not only this but the new terminal is thought to affect a 40 percent reduction in CO2 emissions. Good news all round for Germany’s second largest airport. 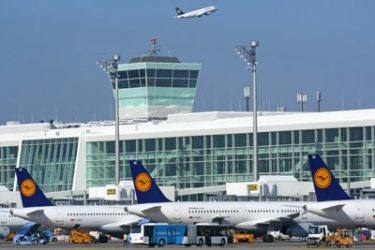 Fun Fact: Munich International is named in memory of the former Bavarian Prime Minister Franz Josef Strauß, who played a prominent, albeit sometimes controversial, role in politics of the Federal Republic of Germany from the 1950s – though naming the airport by its full name “Flughafen München Franz Josef Strauß” is understandably rare. The Important Details: Munich Airport serves as the secondary hub for Lufthansa including Lufthansa Regional and its Star Alliance partners besides Frankfurt. Two runways as well as extensive cargo and maintenance facilities and is fully equipped to handle wide-body aircraft including the Airbus A380. Best Feature: Hamad is, as you’d expect, incredibly hi-tech and offers seemingly endless shopping, dining and relaxation opportunities. Becoming a major hub – often seen as a key connector between Northern and Southern Hemispheres, Hamad International gives passengers with long layovers an incredible amount of things to do while waiting. 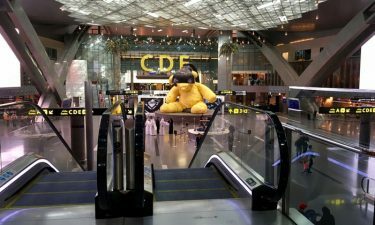 It also boasts an enormous golden teddy bear at its epicentre incarnating Qatar’s efforts to embrace and harmonise new art and cultures with its emerging global status. Year Opened: Originally scheduled to open in 2009, but after a series of costly delays, the airport finally opened on 30 April 2014 with a ceremonial Qatar Airways flight landing from nearby Doha International. Fun Fact: Hamad is the first ever airport in the Middle East to earn a ‘5-Star Airport’ designation by Skytrax. The Important Details: Qatar plans to build a second terminal only however if the present passenger growth outnumbers the projected figures. This looks to be more of a certainty due to the anticipated passenger load from the 2022 FIFA World Cup. Best Feature: The airport, aside from its super-efficiency is built upon its own island. 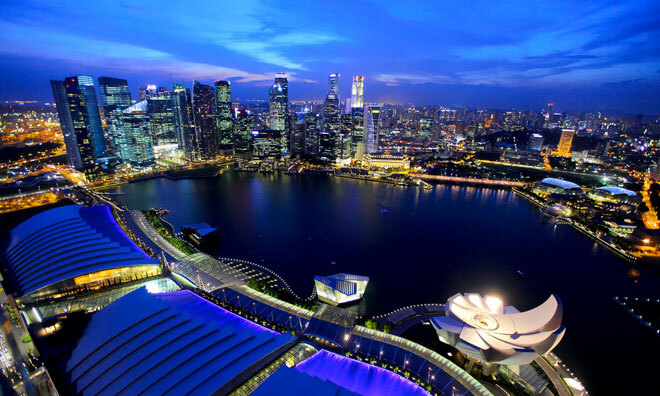 Designed by acclaimed British architect Lord Norman Foster, this awesome state-of-the-art structure was completed in 1998 and unsurprisingly voted one of the Top 10 Construction Achievements of the 20th Century by the Construction Industry Manufacturers Association. Fun Fact: The airport is the world’s busiest cargo gateway. 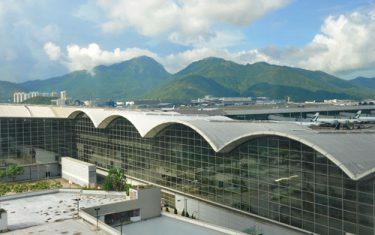 The Important Details: The airport is operated by the Airport Authority Hong Kong 24 hours a day and is the primary hub for Cathay Pacific, Dragonair, Hong Kong Airlines, Hong Kong Express Airways and Air Hong Kong, a cargo carrier. Best Feature: OR Tambo acts as the hub for Africa, not only managing the passenger demand of a continent but also recently developed gates for the Airbus A380 and increased capacity at the same time as constructing a new international terminal in preparation for the 2010 FIFA World Cup. Fun Fact: OR Tambo was originally known as Jan Smuts International Airport after South Africa’s former prime minister of the same name. The airport was renamed Johannesburg International Airport in 1994 after the South African government decided upon a national policy of avoiding the naming of airports after politicians. The policy was subsequently reversed, and the airport renamed again on 27 October 2006 after Oliver Tambo, a former President of the African National Congress. The Important Details: Johannesburg is easily Africa’s busiest airport with a capacity to handle up to an impressive 28 million passengers annually. Best Feature: Not only was London City named the Regional Airport of the Year award at the CAPA World Aviation Summit in Amsterdam, it also boasts the most active Twitter account of any airport worldwide (@LondonCityAir). 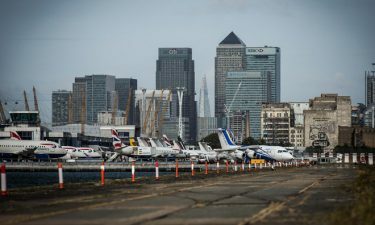 Nestled in the heart of the British capital, it is widely considered the businessman’s airport and a key connection between London and Brussels… at least for the time being. Fun Fact: London City Airport has introduced music to its main security search area. Two different playlists – either ambient electronica or upbeat acoustic music – are broadcast throughout the day as passengers prepare their hand luggage for screening and proceed through the security lanes. Musical artists played through the speaker system include Adele, Ed Sheeran, Ben Howard, Jason Mraz, and Gavin James. The Important Details: London City served over 4.3 million passengers in 2015, an 18% increase compared with 2014. This was the largest percentage growth among London airports, and a record total for London City. It was the fifth-busiest airport in passengers and aircraft movements serving the London area — after Heathrow, Gatwick, Stansted and Luton—and the 13th busiest in the UK. Best Feature: In a word – baggage handling… (or two). One of Terminal 3’s highlights is the US$240 million luggage-transfer system. The luggage system is equipped with yellow carts, each of which is assigned a code that matches the bar code on each and every piece of luggage loaded and allows easy and accurate tracking. More than 200 cameras are used to monitor activities in the luggage area. In addition to this, the luggage system can handle a staggering 19,200 pieces of luggage per hour. After an item of luggage is checked in at any of the 292 counters in Terminal 3C, it can then be transferred at a speed of ten metres per second. As a result, luggage can travel from T3C to T3E in just five minutes! Arriving passengers should be able to begin retrieving their luggage within a staggeringly efficient 4.5 minutes after planes are unloaded. Fun Fact: Since the Beijing Olympics, annual passenger figures have approximately doubled. Considering the Olympics took place in 2008 this is pretty staggering. The Important Details: Beijing Capital International Airport is the main hub for Air China, the flag carrier of the People’s Republic of China, which flies to around 120 destinations (excluding cargo) from Beijing. China Eastern Airlines, Hainan Airlines and China Southern Airlines also use the airport as their principal hub. Best Feature: Mumbai won the “Best Airport in India and Central Asia” award at the Skytrax 2016 World Airport Awards. and is one of the three airports in India to have implemented Airport Collaborative Decision Making (A-CDM) to ensure timely takeoffs and landings thus joining Copenhagen in ensuring communication between airport and airline staff remains a high priority. Fun Fact: The airport is named after the 17th-century Maratha emperor, Chhatrapati Shivaji, famous for his progressive civil rule as well as innovatory nature in military practice. 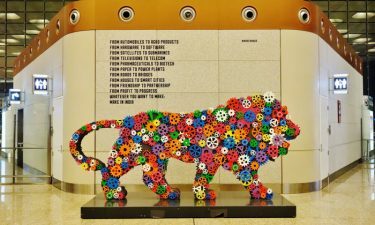 The Important Details: The airport is the busiest in India in terms of cargo traffic and boasts five operating terminals spread over an operational area of 750 hectares (1,850 acres) Mumbai International handles more than 780 aircraft movements per day. Best Feature: In December 2015, it became the first airport in Canada to log more than 41 million passengers a year. Canada’s biggest and busiest airport, expects 70 million passengers annually by 2030. Pearson handles more international passengers than any airport in North America aside from New York’s iconic John F. Kennedy International Airport. Fun Fact: The airport is named in honour of Toronto-born Lester B. Pearson, Nobel Peace Prize Laureate and the 14th Prime Minister of Canada (1963-68). The Important Details: Pearson is the main hub for Air Canada. The Canadian hub is also a base for passenger airline WestJet and cargo airline FedEx Express, and serves as an operating base for passenger airlines Air Transat and Sunwing Airlines. Pearson Airport falls under the umbrella of the Greater Toronto Airports Authority (GTAA) as part of Transport Canada’s National Airports System and in 1952, became the first in the world to provide facilities for United States border preclearance. “What does this mean exactly?”… we hear you cry. Well, you might agree that a picnic between the palm trees or reclining on sun lounges is not how you would expect to spend time waiting for a flight departure but that’s exactly what passengers can do at Brisbane Airport’s International Terminal since its $45 million redevelopment was completed last year. Might as well get out the barbecues and put on some sunglasses while you’re at it! Fun Fact: In the new terminal, recycled telegraph poles have been fashioned into stools and side tables. 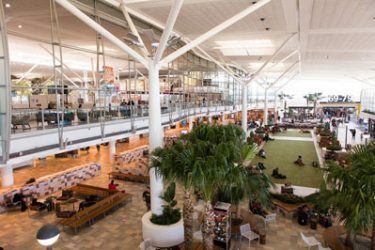 The Important Details: Brisbane Airport is a major hub for Virgin Australia, and a secondary hub for both Qantas and its low cost subsidiary Jetstar. Tigerair Australia also opened a base at Brisbane Airport on 11 March 2014. BNE is actually the third busiest airport in Australia by total passenger numbers, following SYD and MEL, but we have the highest number of domestic connections of any Australian airport.. 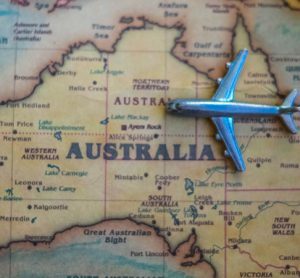 It is also home to Qantas’ A330 and B737 heavy maintenance facilities so it’s not all fun and games at the Australian airport. Best Feature: The busiest airport in Latin America, Sao Paolo successfully dealt with the brunt of the incoming air traffic to Brazil both for the FIFA World Cup 2014 and the most recent Summer Olympics, making a statement in that despite a troubled economy and democracy, Brazil remains very much open for business. Fun Fact: The Tropic of Capricorn runs directly through runway 09R/27L, at exactly 23° 26′ 13.8″ S, 46° 28′ 52.8″ W as of April 2016 (the exact latitude of the Tropics changes a tiny bit every year). The Important Details: Since 2012, the airport has been operated by a consortium composed of Invepar, Airports Company South Africa, and Infraero. Some of its facilities are shared with the São Paulo Air Force Base of the Brazilian Air Force. Passenger Stats: 78,475,336 the 3rd busiest airport in the world by passenger traffic. Fun Facts: Dubai airport has constructed a flower centre to handle flower imports and exports due to its role as a major hub for the import and export of flowers. The airport required a specialist facility since these products need special conditions and the flower centre’s first phase was completed in 2004 at a cost of $50 million. The Important Details: Dubai International is a huge – and we mean Burj Khalifa huge – contributor to Dubai’s economy, as it employs approximately 90,000 people, indirectly supports over 400,000 jobs and contributes over US$26.7 billion to the economy.This represents an amazing 27 per cent of Dubai’s GDP and 21% of the employment in Dubai. Furthermore, it is expected these percentages and figures will only rise. Best Feature: We’re back to the robots… At Haneda, the larger of Tokyo’s two primary airports, another concierge robot that goes by the name of EMIEW3 (catchy, we know) is present to greet each and every one of the 72 million passengers a year. 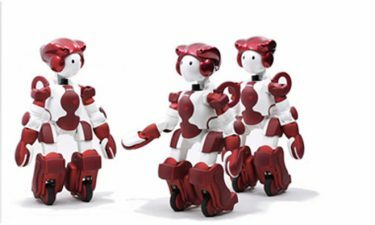 Powered by Hitachi, the latest model of robot has a ‘remote brain’ that is able to process images and voices, and multiple robots can be connected through a remote operation system. But, what sets these concierge specialists apart is the fact that the robots are on rollerblades. Fun Facts: Terminal 1 is called “Big Bird”. The Important Details: Tokyo Haneda is the primary base of Japan’s two major domestic airlines, Japan Airlines (Terminal 1) and All Nippon Airways (Terminal 2), as well as Air Do, Skymark Airlines, Solaseed Air, and StarFlyer. It is located in Ōta, Tokyo, 14 kilometres (8.7 mi) south of Tokyo Station. With Haneda and Narita combined Tokyo has the third busiest city airport system in the world, after London and New York City. Best Feature: Not only is Atlanta the largest in the world it is never far off the top (if not top) of the league tables for efficiency, no mean feat for US and world’s busiest hub, largely due to its role as the major hub for travel throughout the Southeastern United States. The Boring But Important Details: Hartsfield–Jackson is the primary hub of Delta Air Lines, Delta Connection, and Delta Air Lines partner, ExpressJet and is a focus city for low-cost carriers Frontier Airlines, Southwest Airlines, and Spirit Airlines. With just over 1,000 flights a day, the Delta Air Lines hub is the world’s largest hub. Best Feature: It’s resoundingly successful management of the 2014 Winter Olympics, the first Olympic event to be held in Russia since 1980 is one of the standout reasons for why we have chosen Sochi. In relatively unchartered territory, the Russian airport certainly came out of the event among the medals. 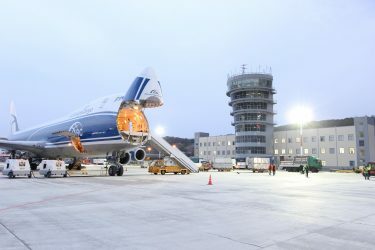 Over 8,500 passengers came through Sochi International on February 6, on the eve of the Olympics’ kickoff. On the day of the opening ceremony, February 7, the gateway served over 8,700 people what is six times as much as on average days. What is perhaps most impressive is that there were no flight delays during this peak period. Fun Facts: It served over 350,000 passengers in February 2014. Over 2,800 tons of luggage was handled during this period. The Important Details: The airport is run by an international joint venture of Basic Element group, Sberbank and Changi Airports International. Fuert to this, the airport has been recognised as the best regional airport at the 3rd annual forum “Development of Russia and CIS airports – 2013”, held by the Adam Smith Conference group. Singapore, Schipol, Hong Kong, yes, several yes’s, nice airports but London LHR, Dubai, Munich, seriously? Dubai hospitality? hahaha. II would question on what entries the airports ranking is based; people loving airports supermarkets for instance? The traffic for Sochi Airport is quite off. In 2016 traffic hit 5.26 million passengers. Hi CY, thank you for drawing our attention to this, the amendment has been made. Well, at least two North American airports — Pearson and Hartsfield-Jackson –made the grade! Interesting as well that despite the growth of air travel in Asia, Hartsfield-Jackson still tops everyone else in the number of passengers handled! OMG How can you rate Brisbane in the top like that. Yes it is opened 24 hours yes it has somewhere to smoke but when you have a late flight there is NO FOOD OUTLETS OPENED after 9pm. REALLY.. The only thing opened is the big duty free shop.